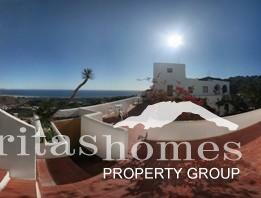 Significant price reduction of over 1/2 million euros! King of the mountain site crowns one of Spain’s 10 most beautiful villages. Elite residence, with commercial potential. This elite residence known as El Mirador del Castillo is truly unique. 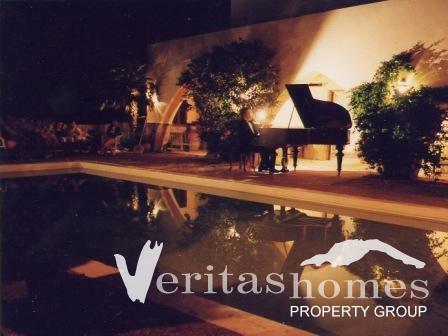 Built on the ruins of a Moorish castle and once the private home of a concert pianist, el Mirador del Castillo has been accessible to the public since 1998 as a boutique hotel and therefore it could continue to be used as such or simply be used as a prestige home or both. 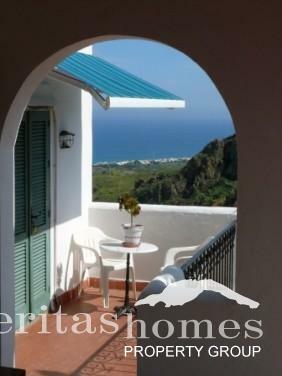 Perched on the highest point of the old village of Mojacar, in Spain's hospitable Andalucia, it has 360º views of the Mediterranean, the alluvial plain of el Rio de Águas and the embracing Sierra Cabrera mountains. 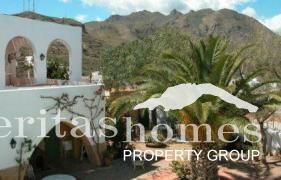 The enclosed complex crowns the Moorish-style village with its narrow walking streets, boutiques, bars and restaurants. 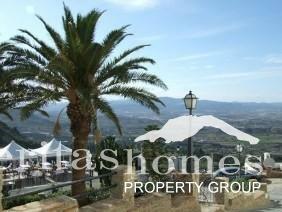 It overlooks the nearby modern beach area and its inviting beach-bars and shopping centres. The building has a café bar and restaurant, 5 double bedrooms, secluded swimming pool and gardens and a house used by living in staff and also a lock up garage. The freehold plot measures approx. 728 mts2 and the built area is approx. 595 mts2. 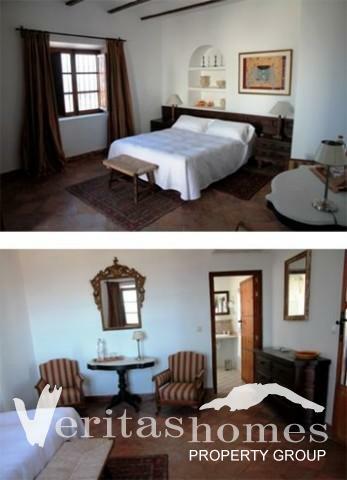 THE ROOMS: there are five double rooms with shower or full bath. 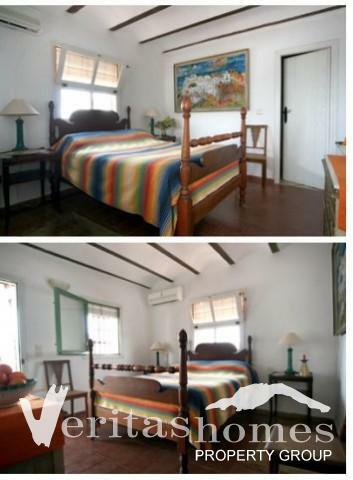 Each room is unique, with a mix of contemporary and antique furniture and works by well-known artists who have come to Mojacar to paint. 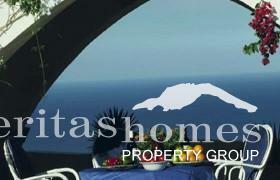 All are corner rooms with views of sea or mountains and direct access to terraces, pool and central garden. 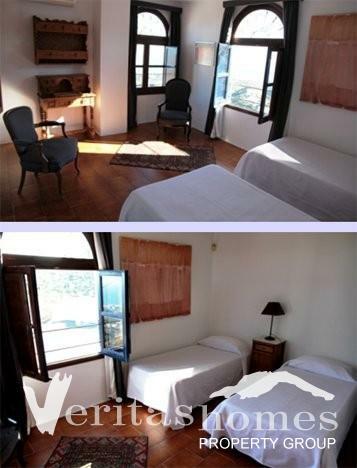 All rooms have air-conditioning and free internet access via Wifi. 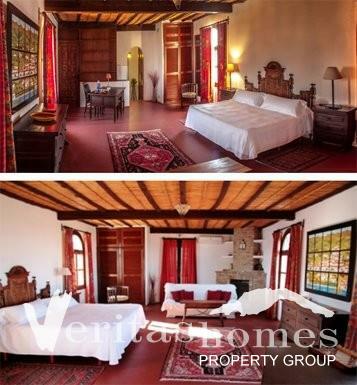 The large master bedroom, Almanzora, has a king-sized bed plus sofa-bed for two. 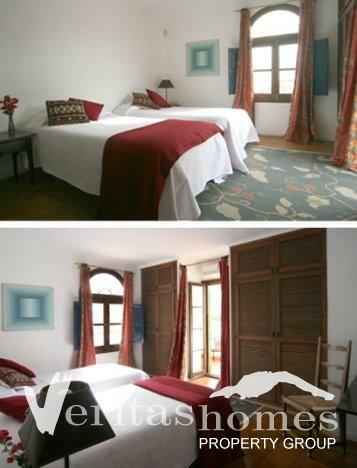 The Suite - Cabrera y Macenas - is a favourite with families or four friends. 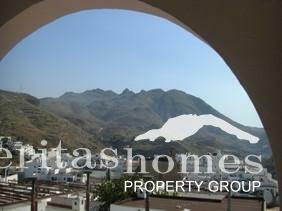 All in all a spacious property located n tihe most sought after area of Mojácar Village with 6 different good size terraces offering views and orientation to please anyone’s taste and right on top of the village with all the services nearby and a short drive to the sea. This elite building is also strategically located for golf enthusiasts. The Marina de la Torre Golf Resort is 5 minutes’ drive, Valle del Este Golf Resort 15 minutes’ drive and Desert Springs Golf Resort is a mere 20 minutes’ drive and so on. Almería Airport is 45 minutes’ drive, Murcia Airport is 1 hour and 15 minutes’ drive and the Alicante Airport just over 2 hours’ drive. Viewings by appointment only! To book a viewing appointment or to request more information please visit at office or contact us via phone or e-mail.